President Donald Trump's senior counselor, Kellyanne Conway, slammed former FBI Director James Comey as a publicity hound who is trying to promote his new book. "The president is very confounded that this person is always able to divert the spotlight to him," Conway said told ABC News Chief Anchor George Stephanopoulos on the morning after his exclusive interview with Comey. "He has a very deft way of making things about him." Conway also referred to Comey's admission that he may have subconsciously expected Hillary Clinton to become the next president when he decided 11 days before the election to announce the reopening of an investigation into her emails. 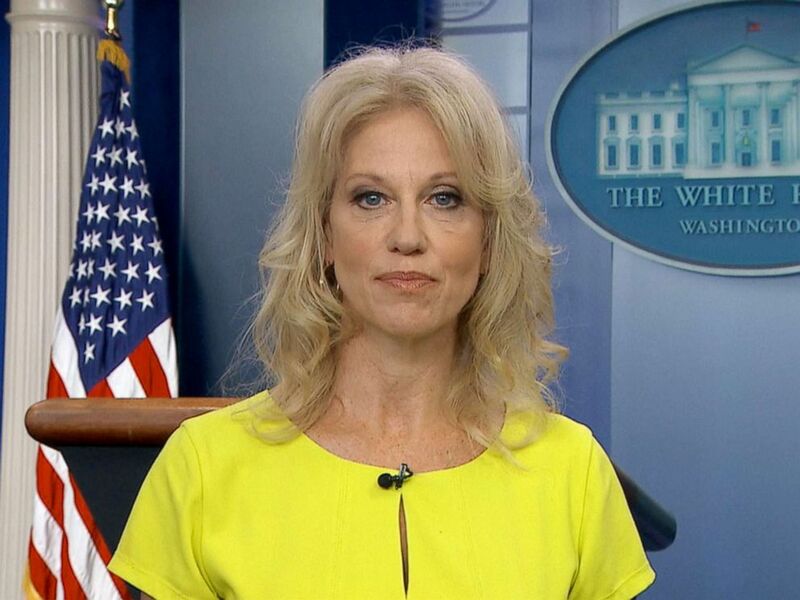 Kellyanne Conway appear on "Good Morning America," April 16, 2018. Stephanopoulos asked Comey in the interview that aired Sunday night, "At some level, wasn't the decision to reveal influenced by your assumption that Hillary Clinton was going to win and your concern that she wins this comes out several weeks later and then that's taken by her opponents as a sign that she's an illegitimate president?" The former FBI chief responded, “I don’t remember consciously thinking about that, but it must have been because I was operating in a world where Hillary Clinton was going to beat Donald Trump, and so I’m sure that it was a factor,” Comey said. "I don’t remember spelling it out, but it had to have been, that she’s going to be elected president and if I hide this from the American people, she’ll be illegitimate the moment she’s elected, the moment this comes out." Clinton has said she thinks Comey's announcement about the email probe so close to the election killed her chances of winning.